We’re up to the sixteenth in our series of posts by Gladys Hunt, author of Honey for a Child’s Heart. In this one, she shares some thoughts about book illustration and compares three versions of a popular story. 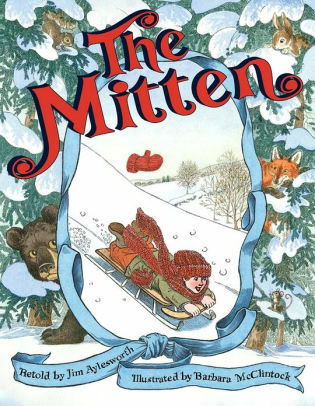 The old Ukranian folktale The Mitten is a simple example of this. Three of the best known presentations of this story are given by Alvin Tresselt, Jan Brett, and most recently by Jim Aylesworth. Mothers usually have a favorite among these three, but I think exposure to the same story told with different pictures is a gentle and provocative education in art forms. 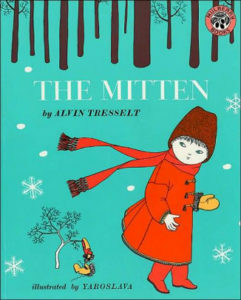 Some adults have grown up knowing Alvin Tresselt’s version and love it! Published first in 1964, it is still in print. For these parents, choosing his book is like regaining their childhood. His art work is quiet, witty and authentic. 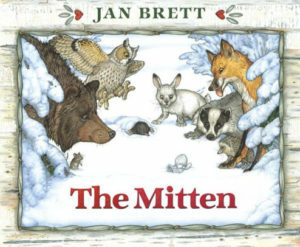 Contrast this with Jan Brett’s book (now in a 20th anniversary edition) with its lush borders on each page, the beautiful child and his grandmother—and you have another dimension to the story. And more recently (2009) Jim Aylesworth’s book explores feelings in the faces of the animals and makes the reader laugh over an explosive ending to his version of the tale. Compare all three and you are showing children that any of their drawings of the story will be just as legitimate as these. 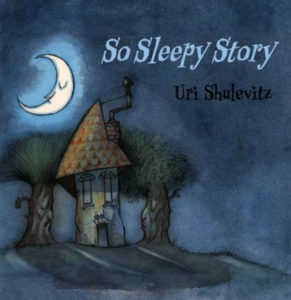 Uri Shulevitz is an illustrator I hope you will begin to know as you search for children’s books. 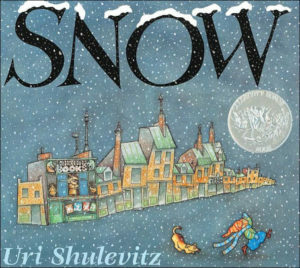 I find all of his illustrations interesting, but I am especially enchanted by his book Snow. The story reads like a child would think. The illustrations are subtle. The child in the story is excited that it is beginning to snow, but the adults tell him it will only be a flake or two. But they are wrong, and the child’s hopes are realized. In a way, it’s a story about hope. It’s also about the wonder of snow. So Sleepy Story is one of his latest books, which one reviewer calls a “bedtime bonanza.” It’s a book for ages 3-6, with a musical rhythm that puts the whole household under its spell, but also celebrates moments that make up an ordinary day. Bedtime books are popular, and this one is worth looking for. Don’t decide too quickly about what kind of illustrations or art work you like. Let the story and pictures have time to sink in. At RedeemedReader, see Janie’s thoughts on “The Power of a Picture.” Megan provides a close look at a fairy tale illustrated by Paul O. Zelinsky: “Reading Rapunzel.” Finally, there are many illustrated versions of H. C. Anderson’s “The Snow Queen,” but here’s a gorgeous version by up-and-coming illustrator Bagram Ibotoulline.